Enrico is a senior fund manager within the non-directional equity team, having joined GAM following its acquisition of the equity hedge specialist, GAM Investment Management Lugano SA, formerly Arkos Capital SA, in July 2012. 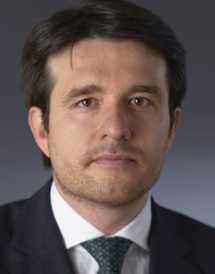 Prior to joining Arkos in February 2007, Enrico was a fund manager at Banca Arner, and prior to this, was Head of Global Emerging Markets and portfolio manager at Aureo Gestioni SGR. He started his career at Epta Fund in Italy, as part of the institutional client sales team. He holds a BSc in Economics from Verona University, Italy, and is a CFA charterholder. He is based in Lugano, Switzerland.